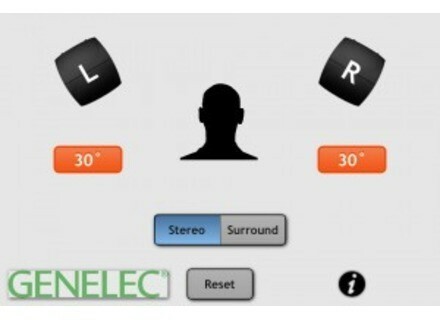 SpeakerAngle, Other software for iPhone / iPod Touch / iPad from Genelec. 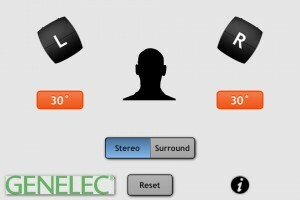 Genelec's SpeakerAngle app is now available for Android devices. The Android version of SpeakerAngle is functionally and graphically identical to the iOS version released in August. It is designed to work on all Android smartphones and tablets running OS 2.3 (Gingerbread) or later and equipped with a gyroscope chip, including the Samsung Galaxy II and III; the HTC Evo 3 and 4; the Google Nexus; and the Asus Transformer and Samsung Galaxy Tab. Genelec has also announced the availability of SpeakerAngle version 1.2 for iOS devices as a free update on the Apple iTunes Store. This latest version is designed to offer improved functionality that indicates when speakers are angled at +/- 3 degrees of 30 (the range of angles that will generally work best when speakers are equidistant from the listening position). All iOS versions of SpeakerAngle are compatible with iOS 6 and with the iPhone 4 and later (including the new iPhone 5), iPad 2 and later and iPhone Touch 4th Generation and later. For full details on the app, head to www.genelec.com. [AES] Aphex Gives Away Audio Xciter App Aphex will be offering its Audio Xciter app free to visitors throughout the AES convention. 2 New Universal Audio Plugins Universal Audio has announced the Shadow Hills Mastering Compressor and Precision K-Stereo Ambience Recovery plugins. Guitar Pro 6 6-Day Special Starting today until Wednesday 31, users will have access to special prices on Guitar Pro 6 and on the digital tabs portal mySongBook.com.